August, 1994, Cuba. Carlos (14) was expecting a normal summer, but the country is thrown into chaos: the government policies change and thousands of Cubans take to the sea, hoping to escape. Friends leave, families separate, emotions are experienced for the first time. Nothing will be as it was before. Marcela’s world becomes strange and fragile when her sister Rina dies. She feels lost in her own home and the connections with her close family circle are disjointed. One day her daughter’s young friend Nacho arrives at the house when his business trip is cancelled, and together they share conversations and strolls. Marcela is summoned to a meeting by a distant relation, while in her home she has discussions with members of her family who are in another dimension. Tati and Renet were already trading pics, videos and music by their cell phones, and on the last school trip they started making eye contact. However, what could have been the beginning of a love story becomes the end. Cali, Colombia. Amaranto, 60, was made redundant from his job as a cashier in a bank several years ago, yet he continues to come to his former workplace to perform menial tasks. 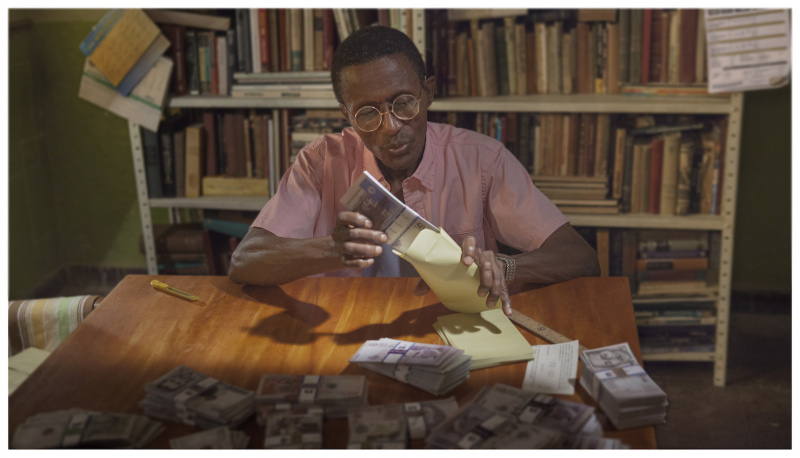 The day an armoured van has to urgently deliver an important amount of cash, Amaranto is presented with the opportunity to commit a robbery as simple as it is extraordinary. Angela is 12 and has 3 sisters aged almost 30 on her father's side; it is he, with his death, who brings them together for the first time. Angela has never lived with anyone other than her daddy and has no recollection of her mummy. Her sisters will leave her on the other side of the country with an aunt to prevent the social services from taking her in. On this voyage of mourning, particularly while sharing a room in a rundown roadside hotel, Angela, whose body is starting to wake up, recognises in each of her sisters their feminity, their sensuality, the mysteries of pleasure and pain, the body, misfortune and the challenge of being a woman on these roads. Rodantes chronicles the lives of three characters: Tatiane, a young woman who leaves São Paulo in an attempt to rebuild her life after an unresolved past; Odair, a young man in the midst of sexual discoveries who takes risks when he leaves his parental home; and Henry, a Haitian immigrant who, after the death of his wife, struggles to survive with his two young children amid the progress and poverty of Brazil. They occasionally meet in the state of Rondônia, in the middle of chaos, with no other involvement than their condition of wanderers.